It will have the world’s highest smartphone user growth rate and will overtake the U.S. in the number of total smartphone users. Newspaper circulation will continue to grow, at the same time that digital news operations will see exponential increases in user numbers. It will have the highest number of English-speaking graduates in the world, many with digital and IT skills. Its government will begin the roll out of a massive investment program which aims to bring the Internet to everyone in the country, representing one-fifth of all humanity. Its prime minister will have the biggest social media following of any global leader. This is not some fantasy media and tech-savvy nation we might one day wish to exist — it’s India in 2015 (or very soon afterwards). India’s media industry has already changed significantly in 2014, giving enough clues to its rise as a global digital media player in the coming year. International news brands have been paying serious attention to the country’s rapacious appetite for news for some time, but this year saw a marked step up. The BBC News website launched an India-focused page in 2011 and has since continued its investment in the country with new programming, local language and digital news content. It was no fluke that when the BBC picked India as the first country to launch an innovative news service on WhatsApp during the country’s general election: India has the highest number of WhatsApp users in the world (70 million as of November). Other international players have increased their presence too. Quartz launched an India edition in June, tying up with local partner scroll.in. This fall, The Huffington Post announced it was launching in India, partnering with the Times of India. BuzzFeed too now has an Indian edition, although it finds itself competing against a slew of BuzzFeed-style local clones that are already proving to be successful, if you judge them by the number of jobs they are advertising for. On Facebook, Indian users broke through the 100 million mark, making the country second only to the U.S. in terms of total users. So what’s going to happen in 2015? One major factor will be the rise of the cheap smartphone. The average price for a smartphone sold in the country is likely to be £80/$100, with entry-level devices starting as cheap as £30/$45. Local players such as Micromax and Karbonn are making a huge impact in this price bracket, as well as competing in the higher-range specs being sold by Samsung and Chinese competitors. Close to 100 million Indians may well buy their first smartphone next year, with many of these also connecting to the Internet for the first time as a result too. Mobile networks are due for a major upgrade, with 3G coverage increasing significantly and more 4G license holders launching by the middle of the year. This has major implications — and opportunities — for all news organizations wanting to develop a digital mobile strategy in the country. India’s creaking telecom infrastructure has long held it back, not helped by crippling bureaucracy and corruption. But as part of the “Digital India” program outlined by the new government, there is hope that an ambitious plan to connect all 250,000 villages across rural India through a high speed fiberoptic network will see results. CEOs of major Silicon Valley players, including Google, Facebook, Microsoft, Cisco, and IBM, have all met with the Indian prime minister when he was on a recent visit to the U.S. and are all now working on related projects with the Indian government. Many news organizations in the West have already seen significant online traffic to their websites and social media channels from Indian users. Few have really yet taken advantage of this and built a coherent strategy to maximize it. For those that do, the future rewards will likely be big. In August, the Telecom Regulatory Authority of India (TRAI) published a report with recommendations on media ownership. While its recommendations have had mixed reviews, it aimed to address the cancerous problems spreading across much of Indian media — politicians owning many of the country’s news channels, the lack of governance over advertorials, and the endemic problem of “paid media,” where media outlets were being paid for giving favorable coverage to political parties and companies. All these factors have left an Indian population highly suspicious and cynical of many of its news providers. Next year could see the beginnings of a turnaround in this attitude as regulations begin to take hold. The TRAI report also proposed releasing the national broadcaster Doordarshan from its state-owned shackles and giving it autonomy along similar lines as the BBC in the U.K. Doordarshan has long been seen as a sleeping giant, and as it transitions into its new form, it may also move onto the international stage, giving an Indian perspective on world news. Will the likes of CNN, BBC News, and even CCTV and Russia Today get new competition soon? Finally, I have heard countless radio executives in India and the West over the years bemoaning the rather baffling restriction that private Indian FM stations face of not being able to broadcast news. Many Indian governments in the past have suggested they would look again at this, but have failed to act. The new Indian government has made similar overtures, but while it has ruled out any immediate change in regulations, the positive sounds coming out of New Delhi are louder than they’ve been for quite some time. It wouldn’t be a surprise if at some point in 2015, there was a relaxation of this restriction — which could lead to a radio news revolution unlike anything we have seen before. It has many problems still to overcome, but if you want a tip for the biggest media story of 2015, I’d suggest it’s not going to be a new tech startup or the latest billionaire takeover of a media institution — it’s something altogether bigger. It’s India. 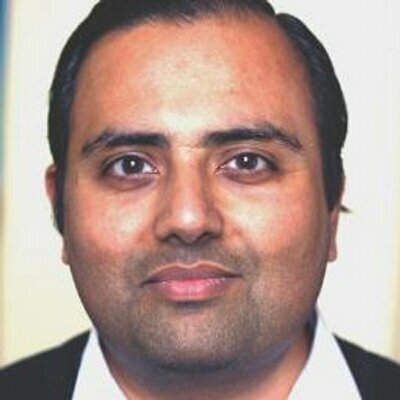 Trushar Barot is apps editor for BBC World Service/Global News. Dec. 17, 2014, 3:52 p.m.